F M Berkheimer Inc is proud to serve the Camp Hill community! 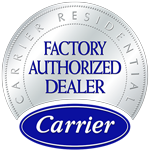 About Camp Hill, PA - Happy to be your hometown Heating & Air Conditioning Contractor! Camp Hill is located in Cumberland County, Pennsylvania, approximately 10 miles southwest of Harrisburg and 100 miles west of Philadelphia. The city is home to a population of more than 7,800 residents who enjoy the historic neighborhoods, stately homes, and outstanding community amenities that make it such a great place to live. Camp Hill is served by the Camp Hill School District and is located within 10 miles of several colleges and universities that include Central Penn College, Harrisburg Area Community College, and the Harrisburg University of Science & Technology. The city’s robust economy is home to over 900 businesses based largely in manufacturing, public administration, and professional services and driven by a civilian labor force comprised of more than 67% of the city’s adult population, of which more than 50% hold a Bachelor’s Degree or higher. 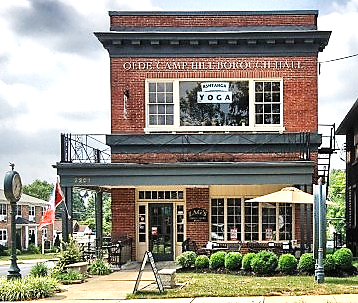 Economic amenities enjoyed by residents and businesses of Camp Hill include low unemployment, short commute times, and median household incomes in the mid-60s. Camp Hill’s spectacular seasonal climate produces mild summers and cold snowy winters – perfect weather for enjoying the numerous opportunities for outdoor sports and recreation that populate the region. The city boasts several beautiful community parks, a recreational complex complete with swimming and tennis facilities, and championship-caliber golf at West Shore Country Club. Camp Hill is located two miles west of the Susquehanna River, a broad, fast, free-flowing waterway that is a popular destination for fishing, boating, kayaking, and canoeing. The city is situated within 15 miles of the Appalachian Trail, the world’s longest hiking-only footpath that stretches for more than 2,100 miles from Georgia to Maine. The trail crosses the Susquehanna River just north of Harrisburg and features numerous access points within the West Shore region of Cumberland County. Camp Hill is home to the Plein Air Arts Festival and Competition, an outdoor arts festival held each May that showcases the works of regional and national artists in juried competitions of painting and photography. The festival features live entertainment, free workshops, lectures, demonstrations, and free activities for children and adults at Camp Hill’s Willow Park. Situated at the crossroads of U.S. Highway 15 and U.S. Highway 11, just two miles west of Interstate 83 and three miles north of Interstate 76, Camp Hill offers easy access to Baltimore, Philadelphia, New York City, and beyond!